COLVILE, EDEN, land agent, politician, and HBC administrator; b. 12 Feb. 1819 in Langley, near Beckenham, England, son of Andrew Colvile and Mary Louisa Eden; m. 4 Dec. 1845 Anne Maxwell in Montreal; they had no children; d. 2 April 1893 in Devon, England. The son of a wealthy British merchant, Eden Colvile had a comfortable childhood. He was educated at Eton and at Trinity College, Cambridge, from which he graduated in 1841. 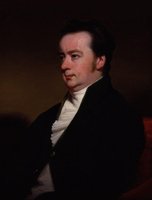 Early the following year he travelled to Lower Canada with Edward Gibbon Wakefield*, manager of the seigneury of Beauharnois for the North American Colonial Association of Ireland, of which Andrew Colvile was deputy governor. Two years later he succeeded Wakefield as agent for the NACAI. His stewardship of the seigneury was reasonably successful. In 1844 he was elected to the Legislative Assembly for Beauharnois as a supporter of the administration of Sir Charles Theophilus Metcalfe* and he served one term. Colvile’s personal connection with the Hudson’s Bay Company began in 1848, when, having left his post with the NACAI, he accompanied Sir George Simpson*, governor of the HBC, as far as the Red River settlement and Norway House (Man.). After the inspection tour he returned to Britain, but not for long. His father, deputy governor of the HBC, was the most powerful member of its London committee, which was not pleased with recent events in the northwest. The trial of Pierre-Guillaume Sayer* at the Red River settlement in 1849 marked the end of the company’s monopoly of the fur trade. Aggressive free traders had an alternative outlet for their furs at the post of Norman Wolfred Kittson* in Pembina (N. Dak.). The community at Red River, moreover, was disrupting the company’s affairs. In small, isolated societies events otherwise considered trivial can generate much animosity. A festering quarrel, which concerned the reputation of Sarah McLeod*, wife of Chief Factor John Ballenden*, had erupted into a lawsuit for conspiracy to slander, brought by Captain Christopher Vaughan Foss, the alleged lover of Mrs Ballenden, against HBC clerk Augustus Edward Pelly, his wife, and others who were accused of defaming Sarah. In addition, demands by Presbyterians for a clergyman and church of their own, as well as compensation for their contributions to the Anglican parish over the years, had created a deep rift between the two religious groups [see Alexander Ross*]. The settlers were also increasingly dissatisfied with the administration of William Bletterman Caldwell*, governor of Assiniboia. In response to Simpson’s request to be freed of responsibility for the settlement and to be obliged to travel less, and concluding that a firm hand was required at Red River, the London committee turned to Eden Colvile. The decision was not surprising, considering his father’s position. On 3 Feb. 1849 Colvile was made governor of Rupert’s Land, resident at the Red River settlement, with a mandate to exercise all the powers of Simpson in his absence, “in all places where trade is authorized to be carried on by the Charter.” Colvile was also appointed to the Council of Assiniboia. 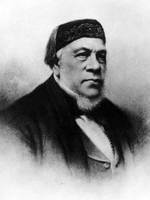 His first task, however, was to straighten out the troubled affairs of the Puget’s Sound Agricultural Company and he thus spent the winter of 1849–50 on the Pacific coast. In August 1850 he arrived at the Red River settlement, accompanied by his wife, and set to work immediately. He briefly took the place of Caldwell as president of the Council of Assiniboia and the General Quarterly Court, and ended the erratic judicial career of recorder Adam Thom* who had become anathema to the Métis. He was able to bring about a compromise between the Anglicans and Presbyterians at the cost of a substantial contribution by the HBC to a fund for construction of a Presbyterian church. The Foss–Pelly imbroglio took more delicate manœuvring, since most of the leading figures of the colony, including the Protestant clergy, had chosen sides. “Altogether the state of things is most unpleasant,” he explained to Simpson that month, “though somewhat ludicrous, withal.” His solution, which took some time to accomplish, was to remove most of the major participants, including the Pellys, Foss, and Mrs Ballenden, from the colony. The company’s revenues from the fur trade were partially resecured when the prices it offered to free traders were increased and the American government imposed a duty on furs crossing at Pembina. Kittson was obliged to close his post there. With his objectives accomplished, Colvile and his wife returned to Britain after the devastating flood of the Red River in the spring of 1852. He later inherited most of his father’s directorships and went on to a distinguished business career, which included, among other posts, the chairmanship of the board of the Royal Mail Steam Packet Company. He joined the London committee of the HBC in 1854 and was one of only two members who survived the reorganization of 1863; he became deputy governor in 1871 and governor in 1880. He toured Canada once more in this capacity and retired in 1889. He died in Devon on Easter Sunday 1893. Eden Colvile’s correspondence with the governor of the Hudson’s Bay Company in London, for the most part held at PAM, HBCA, A.12/13, and with George Simpson, at PAM, HBCA, D.5/25–35, was published in HBRS, 19 (Rich and Johnson). ANQ-M, CE1-63, 4 déc. 1845. PAM, HBCA, A.1/66, 69; A.3/4; A.6/28; A.12/70; B.154/a/50; D.5/23; D.7; Eden Colvile file. Canadian north-west (Oliver). Alexander Ross, The Red River settlement: its rise, progress and present state; with some account of the native races and its general history, to the present day (London, 1856; repr. Edmonton, 1972). The Stock Exchange year-book and diary, ed. T. Skinner (London), 1881. J. S. Galbraith, “Eden Colvile’s letters,” Beaver, outfit 287 (spring 1957): 34–35. J. E. Rea, “COLVILE, EDEN,” in Dictionary of Canadian Biography, vol. 12, University of Toronto/Université Laval, 2003–, accessed April 24, 2019, http://www.biographi.ca/en/bio/colvile_eden_12E.html.